Dr. Nancy Blackwelder was educated at the University of Florida where she received a B.S. degree in Physical Education. She received her M.S. and Doctorate at the University of South Florida in Education Leadership. She moved to Pinellas County, Florida in 1975 where she taught both elementary and high school physical education. She has worked as an Assistant Principal at both the elementary and high school levels, the Assistant Director of Transportation, and in the Exceptional Student Education and Pupil Assignment Departments. On February 11, 1988 while working at Pinellas Park High School as an assistant principal, she fell victim to a gun-wielding student which rocked the educational community. After her recovery she recognized the need to evaluate crisis intervention plans and use the knowledge gained through her experience to help other educators. Dr. Blackwelder is an exceptional international staff development specialist and has provided training for state organizations throughout the United States: Attorney General’s Office (FL & KS), School Board Assoc. (FL, MI, WI, SC, OK, IL,TN), the Victim Advocate Assoc. 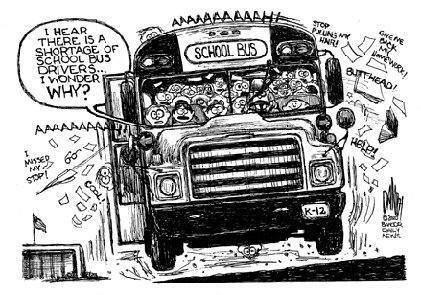 (FL & KS), Arkansas Safe Schools Association (ASSA), Associations for Pupil Transportation (FL, MI, WI, KY, CA, NC, IA, NJ, IN, TX, PA, MA, WY, OH, WA, NE, AR, NY, KS). She has provided training for numerous national organizations: National Association of School Security & Law Enforcement Officers (NASSLEO), National FBI Training, National Association of Pupil Transportation (NAPT), School Transportation News (STN), South Eastern States Pupil Transportation Conference (SESPTC), National School Transportation Association (NSTA). She has provided in-service for East Tennessee State University, Stetson Law College, Florida Educational Risk Management Assoc., Phi Delta Kappa, & numerous educational organizations for all levels of instruction. She has appeared on Geraldo Rivera, Donahue, People Are Talking - Baltimore, People Are Talking - New Jersey, Dan Rather’s Six-O'clock News Magazine, & Jane Wallace Live (Philadelphia). Nancy has served on Florida School Safety Evaluation Teams, the Governor’s Select Commission on School Safety and provided in-service training in school districts throughout the United States and Canada. Nancy is a certified ALICE instructor.